We can hardly believe it’s been almost two years since Fyre Festival, the scam of the century, unraveled in front of our eyes, but with competing documentaries from Netflix and Hulu letting us relive the madness all over again, we realized Fyre’s legacy (and those infamous cheese sandwiches) never really left our hearts to begin with. 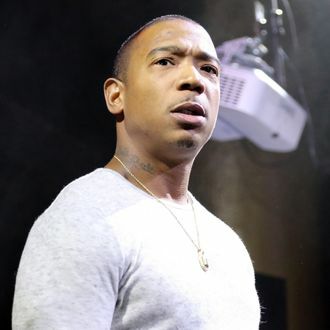 With the festival’s co-founder, Billy McFarland, appearing in the Hulu documentary to tell his side of the story before he was sentenced to prison for fraud, the other founder, Ja Rule, refused to appear in either of the docs and has remained pretty silent with this new media blitz. That is, until now. McFarland, who was called a “serial fraudster” by his judge for orchestrating a $26 million scam, will be in prison for the next six years. Honestly, we just hope Rule’s receipts lead to a third documentary. Perhaps on Amazon Prime.